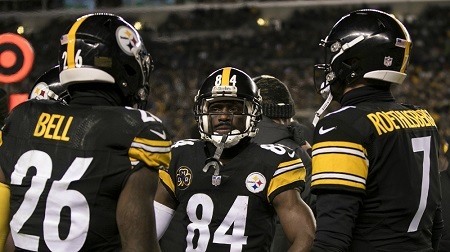 The Pittsburgh Steelers are sitting on a 6-2 record at their bye week that was good enough to secure a firm lead in the AFC North coupled with a tie atop the AFC rankings. While this team still has a lot to prove over the next eight games, the 2017 Steelers have established themselves as legitimate contenders at the halfway point. The fielding four Killer Bees, Ben Roethlisberger, Antonio Brown, Le’Veon Bell and Martavis Bryant, hasn’t turned out to be the NFL equivalent of Daenerys Targaryen and her dragons. The fact that Steelers.com almost immediately began selling “Hold Down the North” T-shirts after last year’s Christmas win over the Ravens is a pretty strong indicator that Game of Thrones has strong crossover appeal in Steelers Nation. Now factor in Heath Miller’s retirement. While wasn’t the force he once was, Heath Miller’s dependability as a pass catcher demanded that defenses account for him, particularly in the Red Zone. 2017 was supposed to be the year when things came together. Indeed, to some 30 points a game seemed more of a floor rather than a ceiling. Instead, halfway through 2017 the Steelers highest point total is 29 points and Chris Boswell appears to be Pittsburgh’s most reliable Red Zone threat. Why has the Steelers offense fallen so short of expectations? There are a lot of theories floating out there, and Steel Curtain Rising doesn’t pretend to have a crystal ball. Ben Roethlisberger was clearly off early in the season, and this trend was clear long before his 5 interception disaster against the Jaguars. He’s been better since then, although consistency eludes him. Le’Veon Bell took some time to get into synch as did the entire offense. 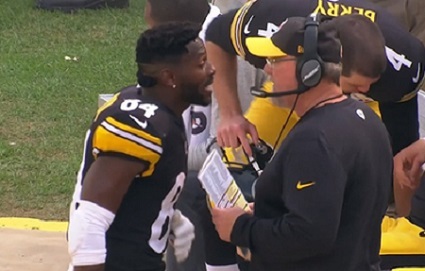 Here the Grumpy Old Man inside me wags a finger and admonishes Le’Veon Bell for his hold out and Mike Tomlin for playing his first team offense so little during preseason. Practice still makes perfect, even when you have All Pro talent. And of course Martavis Bryant really hasn’t been an offensive force, save for the Vikings game where he had a touchdown, one long catch and drew another deep pass interference penalty. Outside of that Bryant has been best known for the plays he didn’t make on the field and his off the field distractions. When you account for the fact that Pittsburgh fields a veteran offensive line it’s hard to avoid the conclusion that 8 games into 2017, the Pittsburgh Steelers offense is less than the sum of its parts…. …Which isn’t to say that Steelers 2017 offense is a hopeless cause. The Steelers second touchdown drive against the Bengals serves as Exhibit A. As drives go it covered 75 yards and was pretty run of the mill as touchdown drives go. But the key take way here comes from the fact that aside from a 1 yard Le’Veon Bell run, the rest of the yards came from James Conner, Vance McDonald, Eli Rogers and JuJu Smith Schuster. The lesson of the painful end to the 2016 season was that Ben, Bell and Brown can’t do it all by themselves. 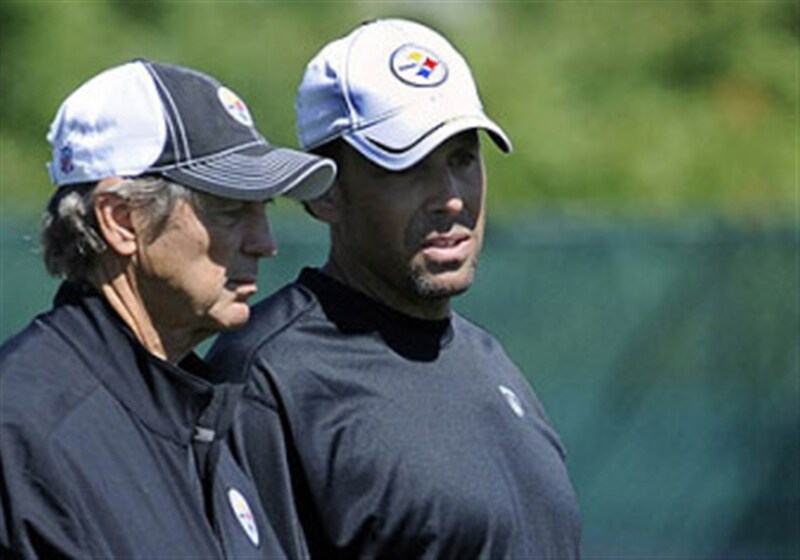 But while Killer Bees’ success and the Steelers success remain intertwined, Todd Haley has to find ways to sting opponents with other weapons. 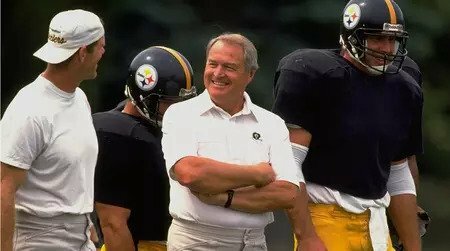 This drives was a step in that direction, although time will tell whether it signals a deeper integration of the Steelers offense or merely serves as an example of the law of averages working its will. JuJu Smith-Schuster’s emergence in the Steelers win over the Lions is a second reason for hope. While most of the commentary focused on whether JuJu’s big game in Detroit would cost Martavis Bryant, Bryant could become the beneficiary of JuJu’s coming out. As Chris Adamanski has pointed out, defenses have continued to target Bryant thus far this season. Now JuJu has established also himself as a threat. You do the math — There’s no way opposing defenses can double Brown, Bryant and JuJu. The third reason for hope comes on the other side of the ball. 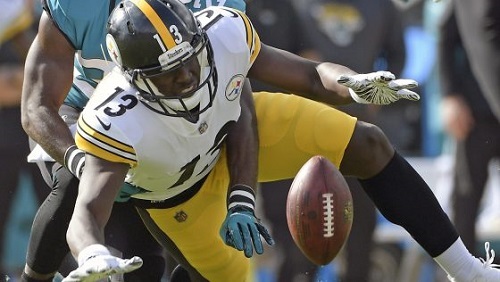 During the Steelers rebuilding process, the conventional wisdom is that Mike Tomlin and Keith Butler only needed to build a good but not necessarily great defense. The additions of Joe Haden and T.J. Watt, the continued maturation of Ryan Shazier, Bud Dupree, Artie Burns and Javon Hargrave the stout play of stalwarts like Cam Heyward and Stephon Tuitt have combined to allow this defense to flash greatness. 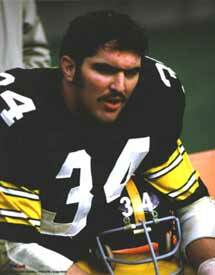 True, the Steelers defense has yet to put together a complete game, but when Keith Butler’s boys at their best, they’ve thoroughly dominated. During Game of Thrones season seven Daenerys Targaryen learned that her Dragon’s, however powerful, didn’t provide an automatic key to victory. The Mother of Dragons came to understand she had to do more. 8 games in to 2017, the Steelers have learned that simply fielding Bryant alongside Roethlisberger, Bell and Brown doesn’t magically add up a dominant offense. 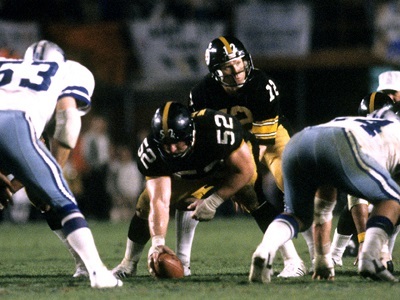 For the Steelers to secure Lombardi Number Seven more will be required. Fortunately Mike Tomlin’s men are showing signs that its willing and able to do more.